Solagratiamom: GIVEAWAY!! Professor Noggin and Cycle 2! GIVEAWAY!! Professor Noggin and Cycle 2! Professor Noggin's Medieval Times GIVEAWAY!!! I want to share with you a fantastic game that is a favorite at our house. It's called Professor Noggin! We really love these games! They come in a variety of educational topics (about 37) and many of them coincide with the various cycles of Classical Conversations® which makes them even better!! They have won major awards such as Parent's Choice Foundation, National Association for Gifted Children and Scholastic Instructor Magazine. Each game has 180 questions based on one subject. They also have two levels of play - easy and hard. This makes it so you can play with multiple aged kids at the same time, which I really like. The game play remains the same for each topic so it makes it easy to play a variety of game topics. We have found these games to be great for covering facts concerning the various topics we have studied or will be studying, in a fun and engaging way for the kids. We took a few games on vacation with us because they are small and fit easily in a tote and we played on the car ride and had a blast! One of my favorite things about them is the cost! 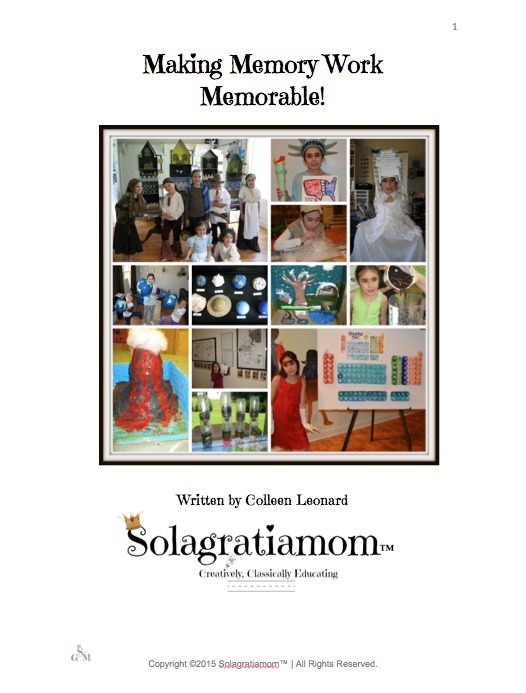 They are very reasonably priced and provide a great diversion to normal studies while still teaching your kids lots of facts related to the topic of play/study! If you'd like to read about the various games offered then you can view them at Professor Noggins Games. To purchase them you can go to Rainbow Resource. 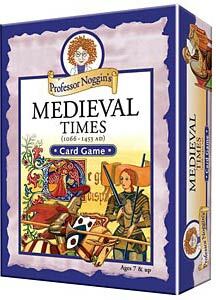 Now to the best part of all - I'm excited that one of my Viewers can win a FREE copy of the Medieval Times game - just in time for your CC school year to begin! !